When it’s time to go in front of the board and talk about what you’ve conquered this year, most brands, agencies, and ad-tech companies will have some version of the cross-channel marketing initiative on their list of accomplishments. It has been a big one this year, like “mobile” and “social.” It’s time. And, like mobile and social before it, “cross-channel” can mean a lot of different things to different people. I have heard many companies describe their cross-channel initiatives, and it’s clear that they are not all working on the same issue. They are tackling very different objectives. Some of them approached cross-channel as a content solution, some as a measurement solution, or a device-matching solution, a real-time activation solution, or a universal ID solution. In reality, the best results will only come as a holistic combination of several of these. It’s a tall order that is searching for an elusive paragon: creating true, real-time, cross-channel, 1-to-1 customer relationships and profiles. It’s the Shangri La of data-driven digital marketing. Can you know that the person you just saw shopping on the desktop is now engaging with your content on a phone or tablet, or visiting your brick-and-mortar store, or talking with your call center, or reading an email that you sent yesterday? Doing this requires a lot of moving pieces that originate in silos in most organizations, but with the right foundation, it is a very achievable goal. The first wave of cross-channel initiatives were built around making sure that all content (editorial and advertising) looked good on all devices: Flash to HTML5 and responsive design projects were undertaken, and now most content looks good everywhere and is formatted for every screen. Many big publishers are still in this phase: I recently spoke with a large, traditional print publisher who is still redesigning their sites to take advantage of responsive design. Meanwhile, more adventurous companies are exploring forward-looking content solutions that focus on cross-channel content synchronization. That is, how can you start a customer’s mobile browsing experience right where they dropped off their desktop browsing experience? Another set of early cross-channel initiatives were aimed at creating cross-channel customer profiles by building a large repository of historical data—a large database of structured data that brought all of the silos together in one place, long after it had been collected. 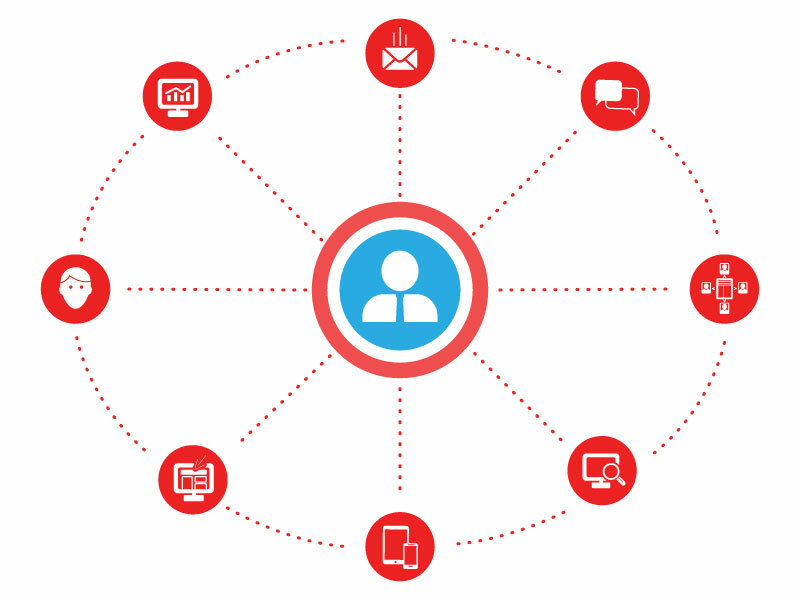 You could see email, loyalty, point of sale, and campaign data in one place, but any connections were made historically, and most behavioral marketing or retargeting was based on these historical connections. Another common tactic applied by companies under the banner of cross-channel initiatives has been to focus on the real-time events that customers trigger, but in a very channel-specific manner. Many companies rely on this approach, and that is clearly reflected in the amount of money our industry puts into search marketing to take advantage of real-time search intent, followed by display and email retargeting. The illusion of real-time quickly gives way to the reality that many of these systems are hours—if not days—behind. Take the pesky display ad that didn’t start following you until days after you originally did your online shopping research, and now won’t stop following you in spite of the fact that you already made the purchase—within hours of your first shopping activity. Another solution for cross-channel initiatives focuses on matching devices, via what’s called probabilistic matching. This method relies on suppositions that certain devices are likely to belong to the same person or household, based on a number of variables like geolocation and time/date stamps. Alternatively, powerful technologies such as Signal Universal ID make it possible to do actual customer matching across channels. This method, known as deterministic matching, uses actual authentication events by actual consumers as they engage with content to retain a unique identifier for that user across multiple channels including desktop, email, web, mobile, social, loyalty programs, point-of-sale, etc. It’s clear that when you hear a company say that it has already applied a solution for cross-channel, it could mean a number of different things. Inversely, if you think your own cross-channel solution is solving for all of the intricacies of cross-channel marketing, you should dig deep and consider the multitude of touch points and engagement between you and your customers—content, devices, Universal IDs, measurement, marketing—and look closely at how cross-channel you actually are. To truly create meaningful one-to-one conversations and cross-channel success, the only solution is a strong foundation of data collection that ties it all together in real-time at the moment of data creation, tears down internal data silos, and activates every data-driven marketing effort with a clear and holistic view of each user. So the next time you get a chance to share your cross-channel successes, don’t forget about cross-channel’s benefits to the whole company, from content, personalization, and analytics, to more effective media buying, better measurement, and a real relationship with real customers. And be sure to enjoy the adventure of getting to Shangri La. Robert Hess was formerly SVP, Global Business Development at Signal.